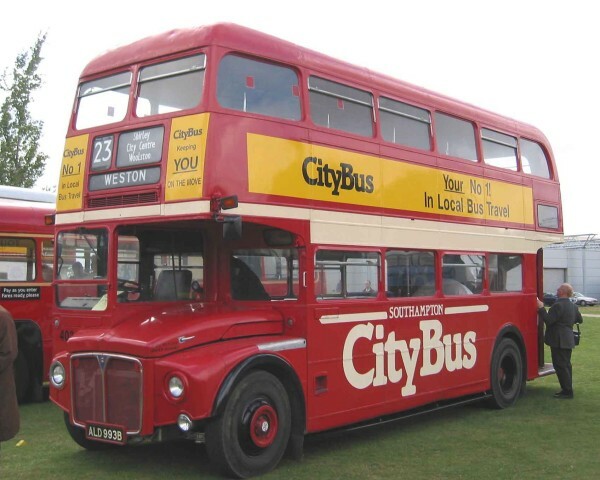 This photograph was taken a few years ago at Showbus (date not known) and shows RM429 in the original Capital Citybus livery (when there was a close association with Hong Kong Citybus). 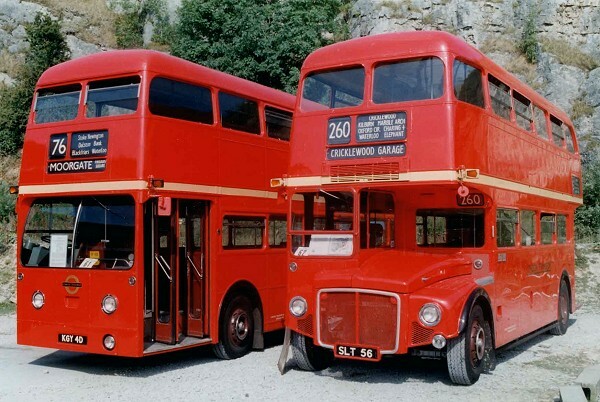 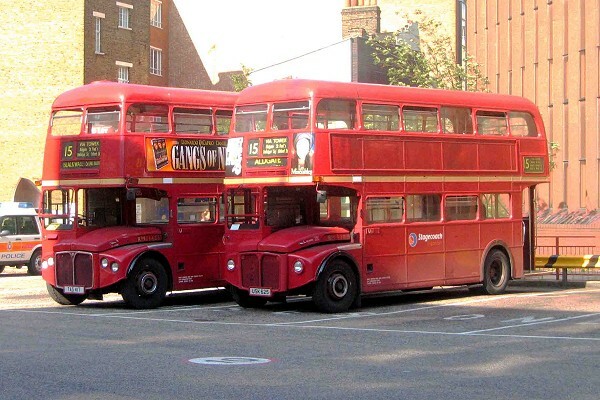 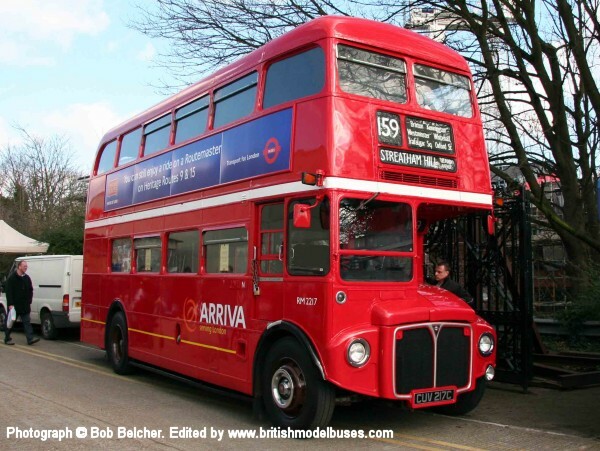 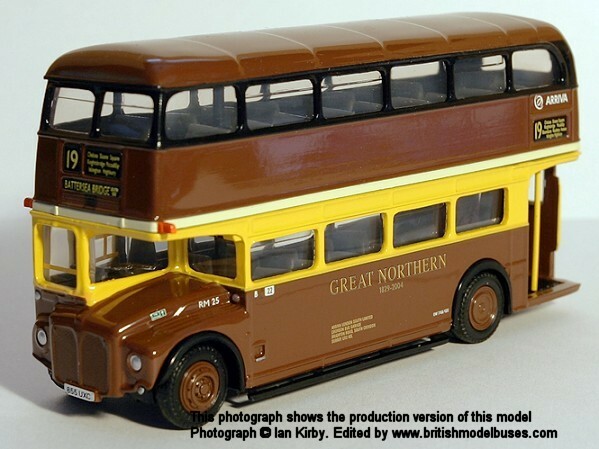 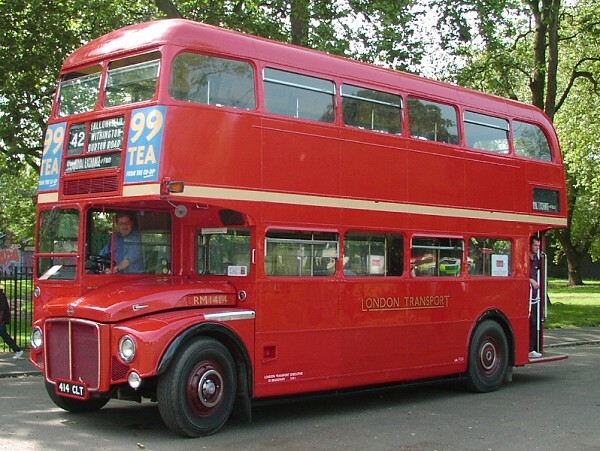 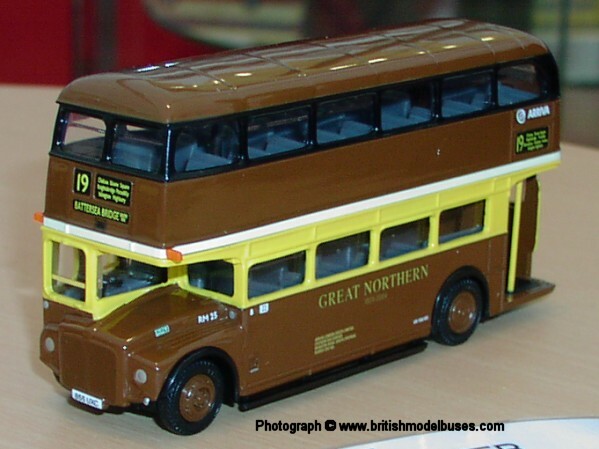 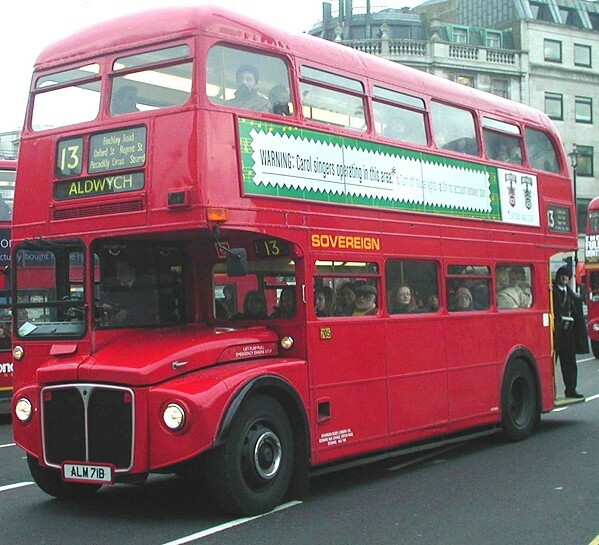 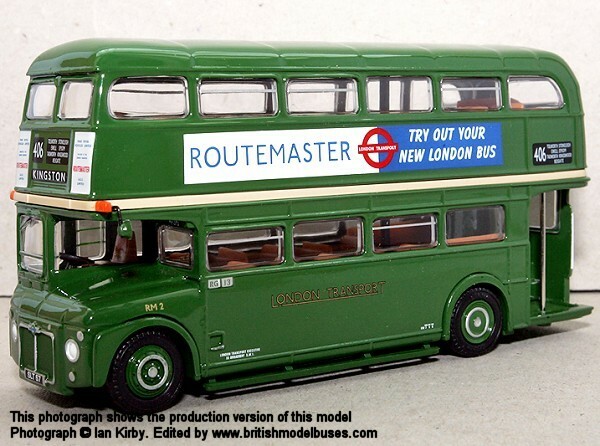 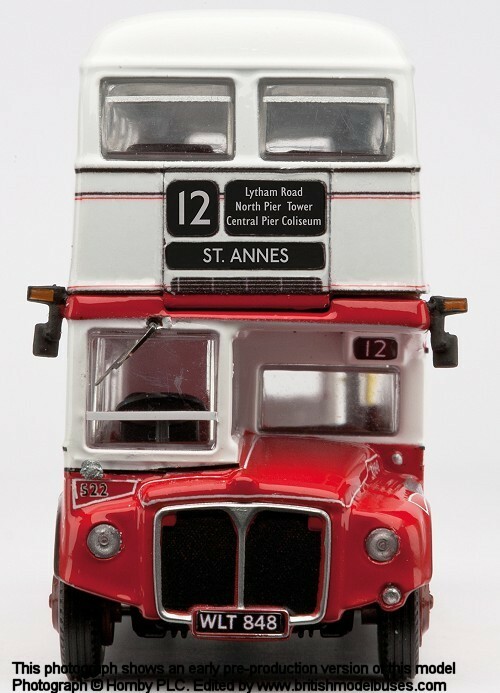 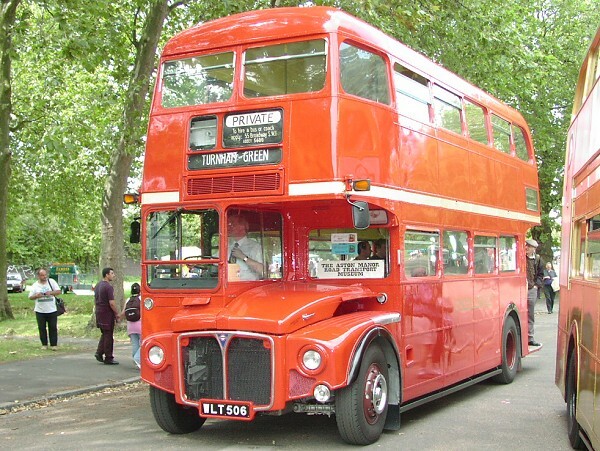 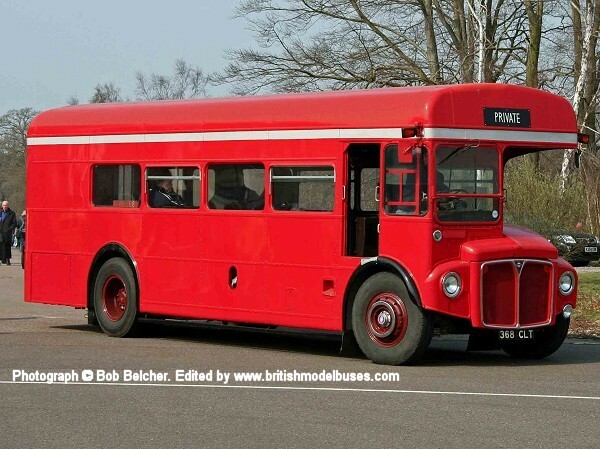 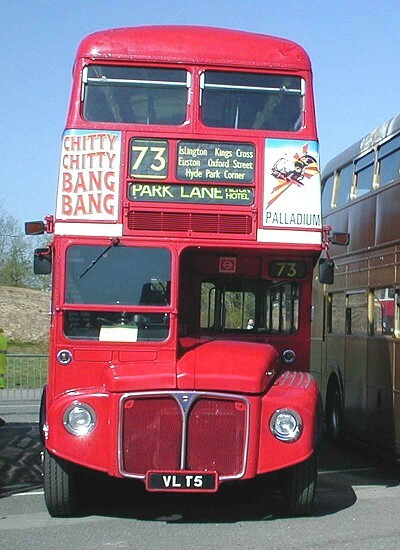 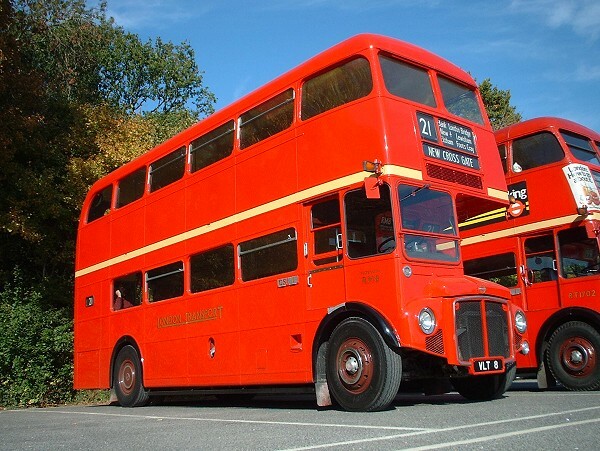 Corgi Classics represented this vehicle in one of their Routemaster sets number 97074. 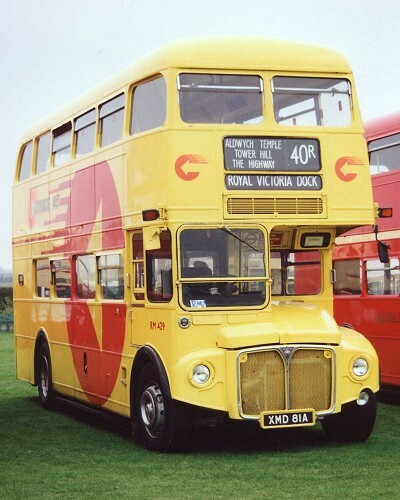 In the set it was portrayed with its original registration number WLT429. 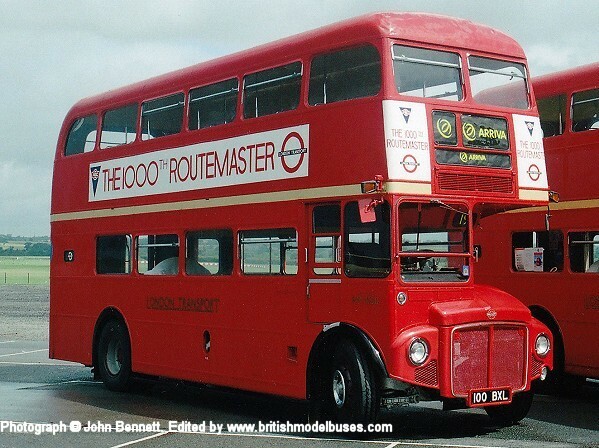 By the time of the photo of the real bus, it had been re-registered as XMD81A as shown. 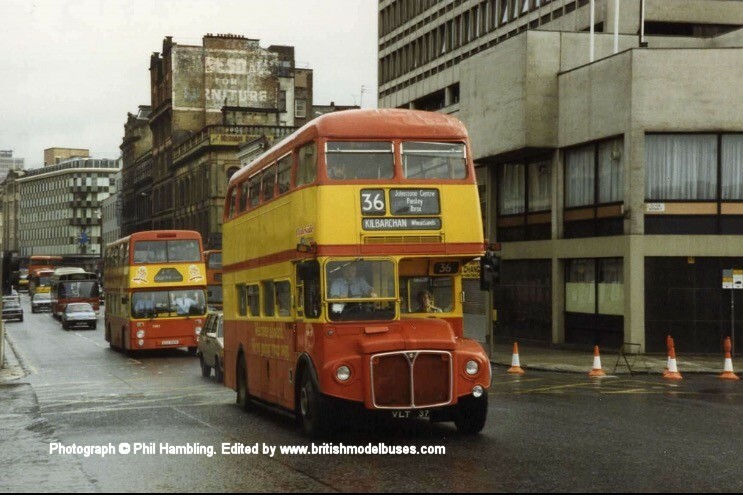 This photograph was taken in Glasgow during May 1987 and shows RM37 (VLT37). 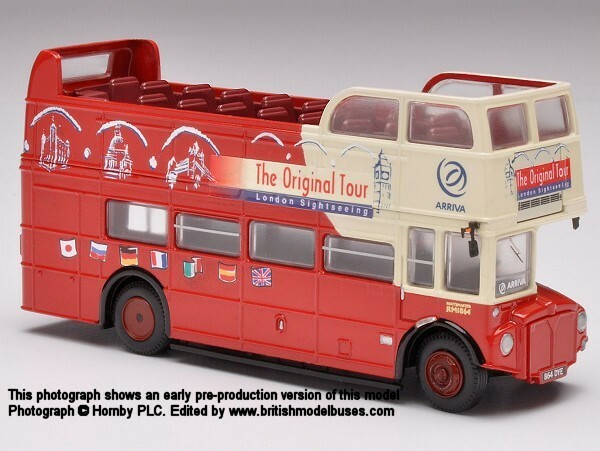 This is the actual vehicle represented by Corgi OOC models OM46307A & OM46307B. 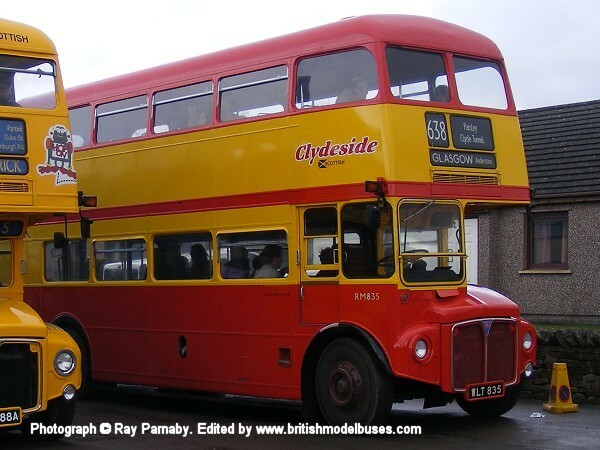 This photograph was taken outside the Glasgow Vintage Vehicle Trust’s museum, Bridgeton, Glasgow on Sunday 10th October 2010 and shows the nearside view of the above. 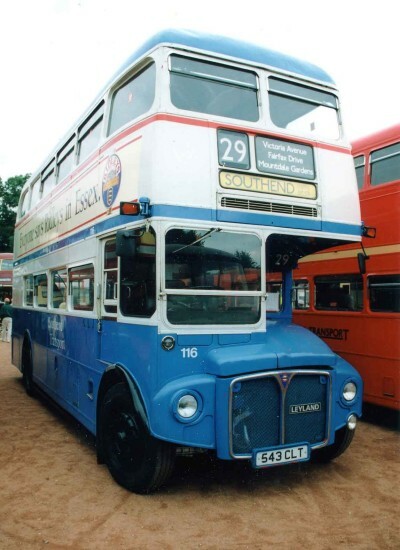 This photograph was taken at Finsbury Park on 25 July 2004 and shows the offside view of RM1 (SLT56). 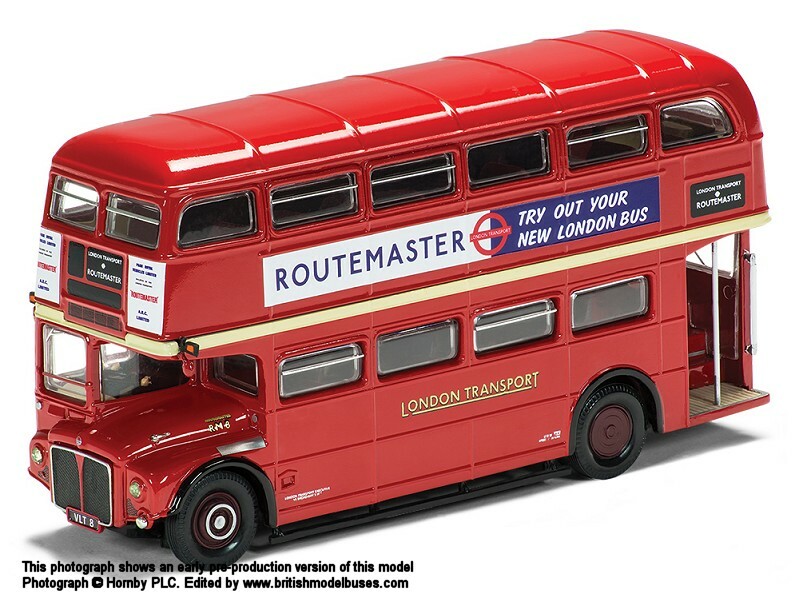 To the left of RM1 is Berlin 1629 (B ZU629H) Bussing D2U, sister vehicle to 1439 (B Z439) as modelled by Minichamps. 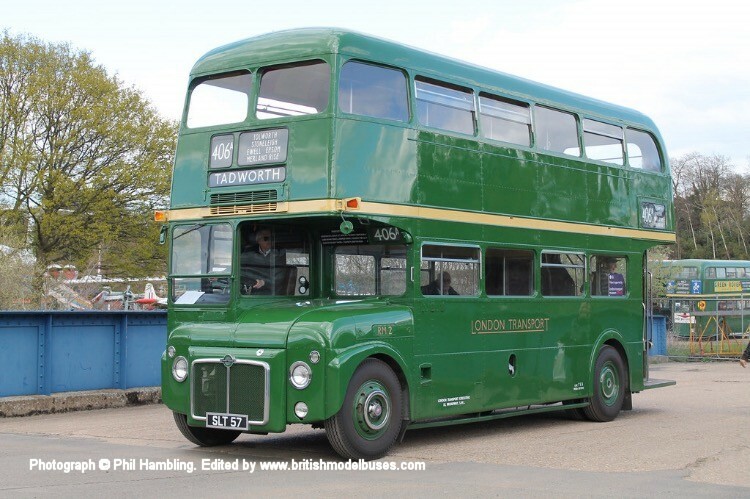 This photograph was taken at Brooklands in April 2015 and shows fleet number RM2 (SLT57). 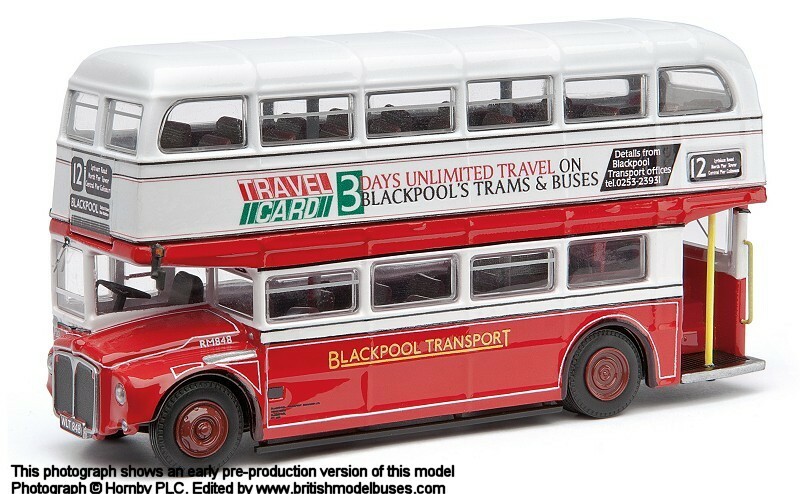 Thos is the actual vehicle represented by EFE models 30302, 30303, 30303SB and 30304. 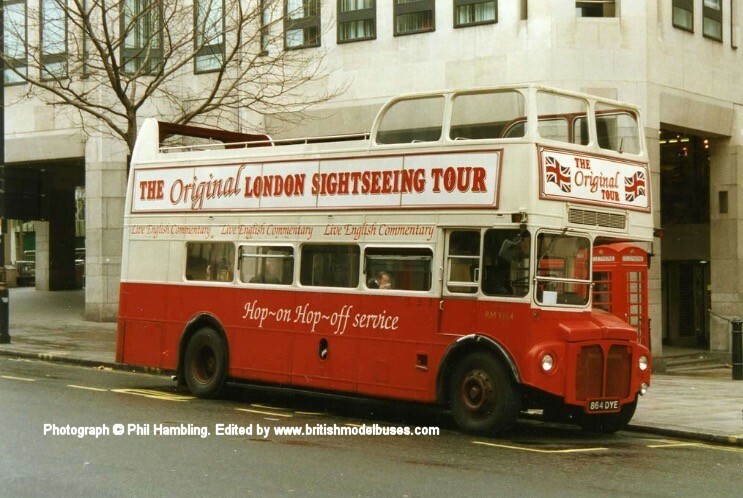 This photograph was taken in Park Lane on 13th April 1988 and shows RM94 (VLT94). 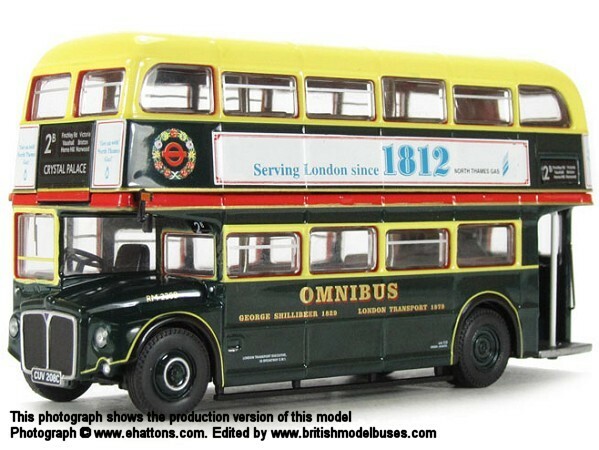 This is the actual model represented by EFE model 17901. 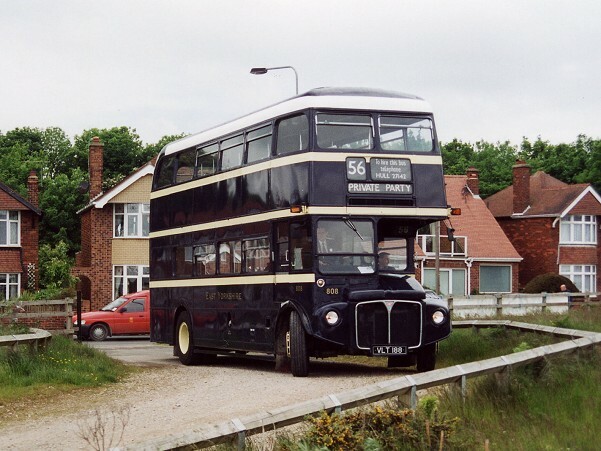 This photograph was taken at Wisley on Sunday 3rd April 2005 and shows RM644 (WLT644). 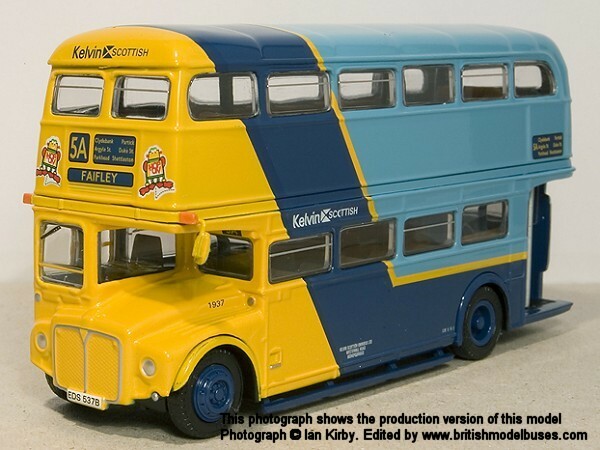 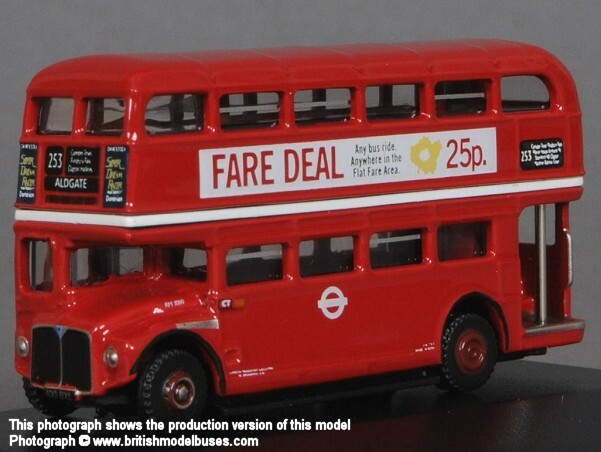 This is the actual vehicle represented by EFE model 17902 although the Metroline and LT fleet names have been removed and at some point platform doors have been added. 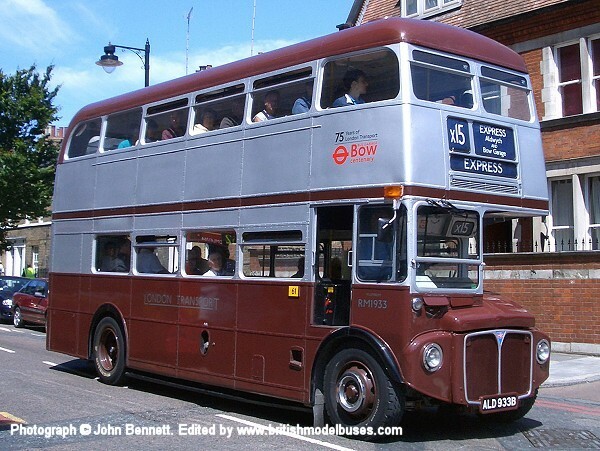 This photograph was taken in Windsor on Saturday 11th August 2018 and shows RM848. 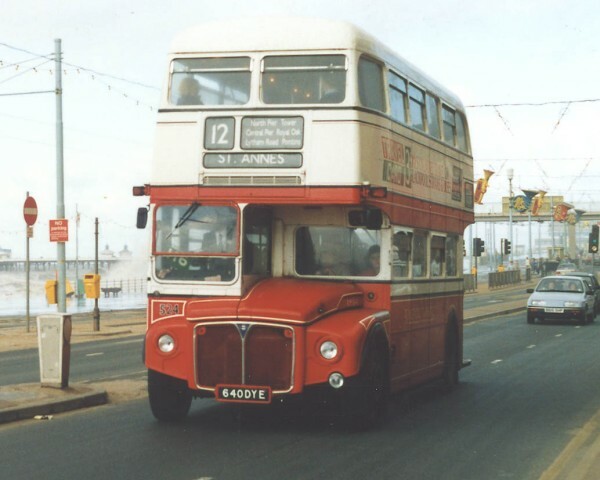 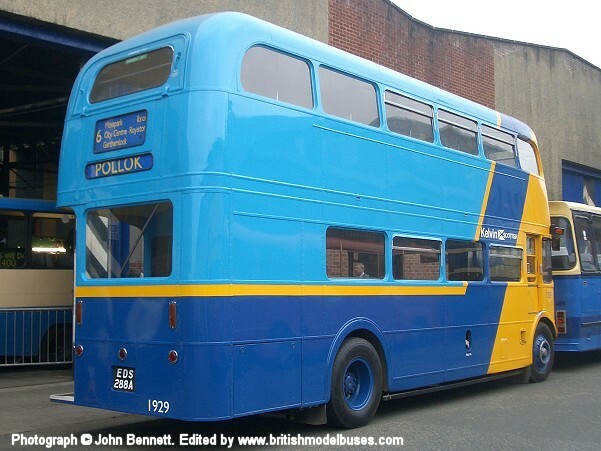 I previously published a photograph of this vehicle in Blackpool Transport livery fleet number 522 former RM848 (WLT848) - see Blackpool entry towards the top of this page. 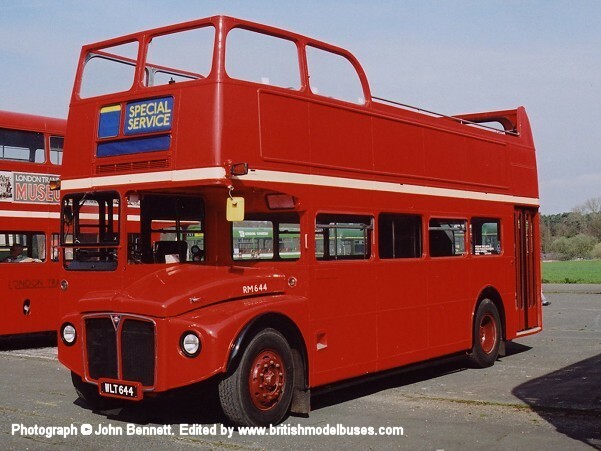 The fleet number has reverted back to RM848 but the registration has changed to 448UXS. 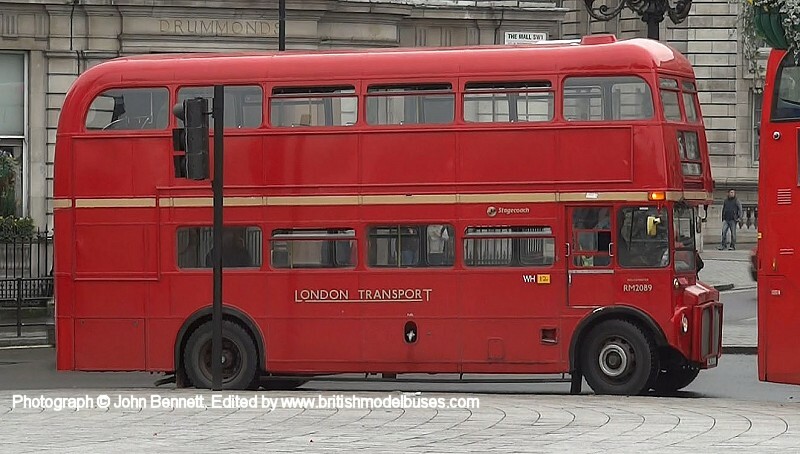 The vehicle has also been repainted in LT red but does not carry LT fleet markings. This photograph was taken at Wisley Airfield during the 2004 Cobham open day and gathering on 4th April 2004 and shows RM1000 (100BXL). 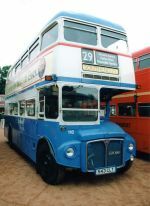 This photograph was taken at North Weald on 1st July 2007 and shows the offside view of RM1000 (100BXL). 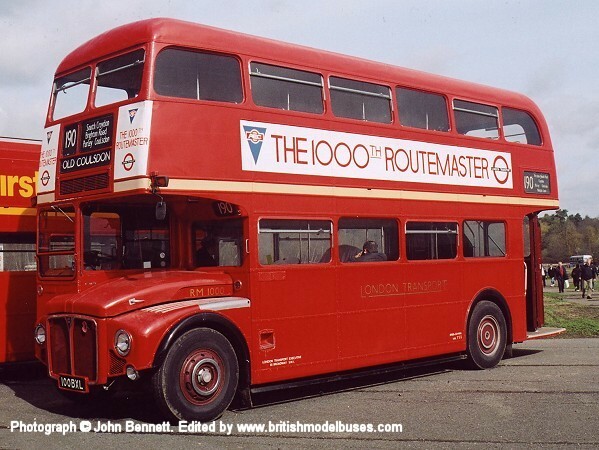 This photograph was taken in Duke of Wellington Place on Wednesday 26th February 2014 and shows RM1204 (204CLT). 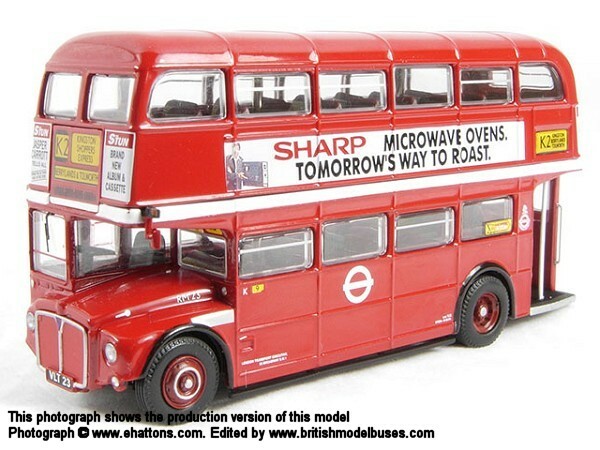 This is the actual vehicle represented by EFE model 31513 commissioned by Tower Transit. 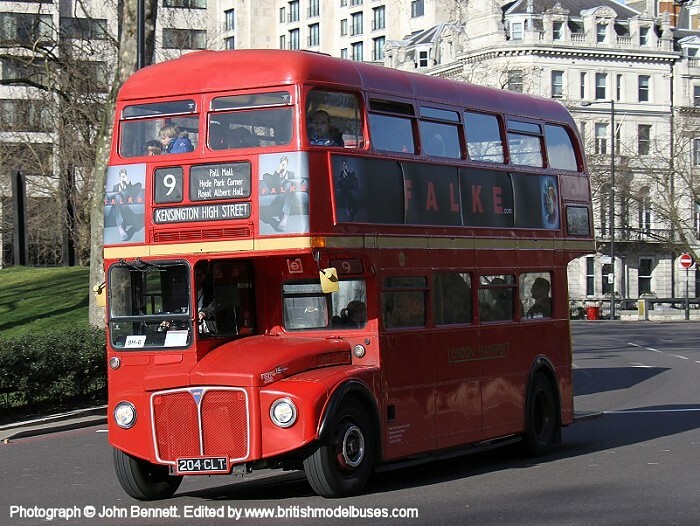 It has adverts for Falke.com rather than 'Visit Australia' but is on route 9. 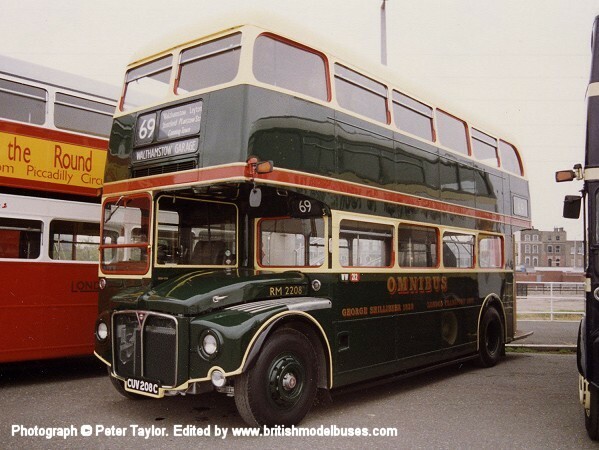 This photograph was taken at Brooklands during the Cobham event on 11th April 1999 and shows RM1368 (368CLT). 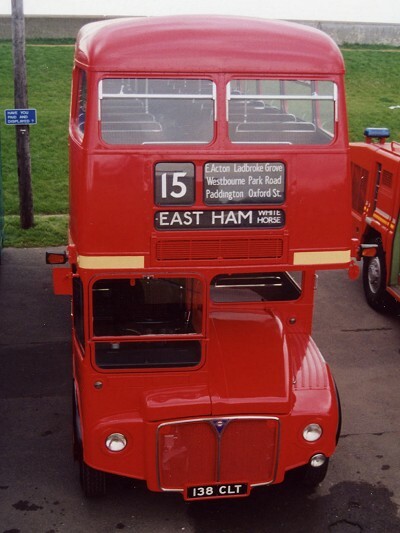 This vehicle was originally double deck but was converted to a single deck works vehicle after a fire on the upper deck. 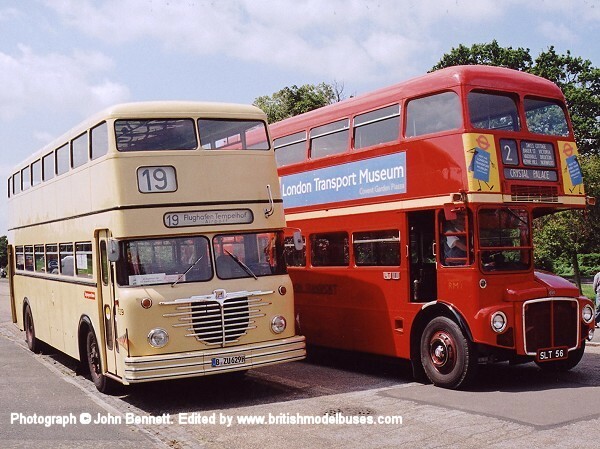 This photograph was taken at the Cobham Gathering at Longcross on 1st April 2007 and shows the offside view of the above. 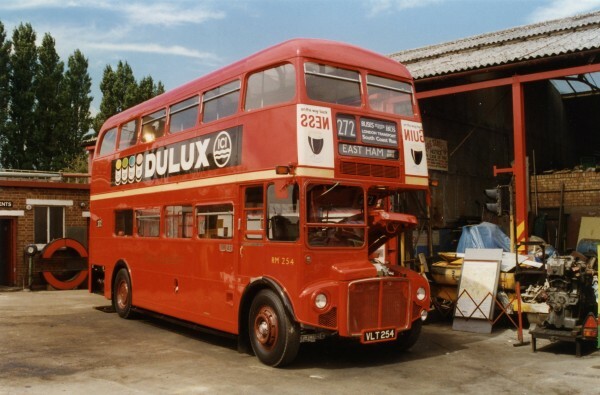 This photograph was also taken at the Bow Garage Centenary Open Day on Saturday 28th June 2008 and shows the above vehicle in Fairfield Road, Bow. 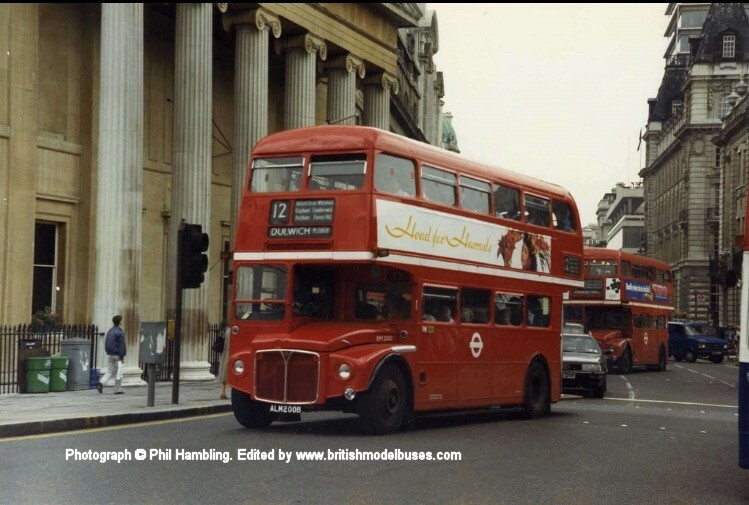 This photograph was taken in Trafalgar Square during August 1986 and shows RM2000 (ALM200B). 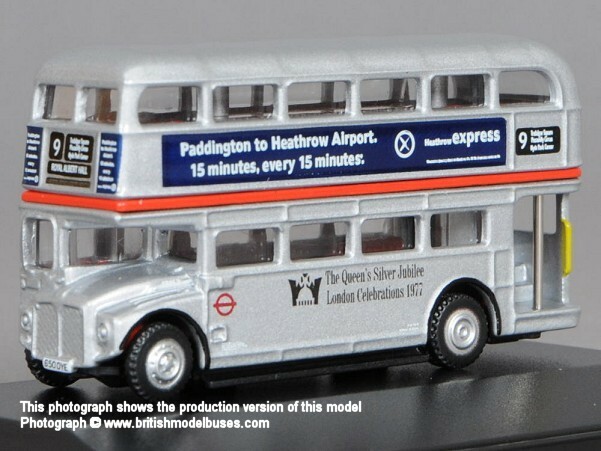 This is the actual vehicle represented by EFE models 15628 (as part of EFE Gift Set 99921), 15628A, 15628AA, and 15628B. 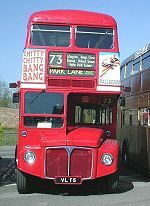 This photograph was taken at Wisley on Sunday 3rd April 2005 and shows the nearside view of the above. 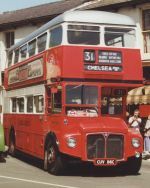 This photograph was taken during ‘Routemaster 40’ at London Royal Docks in Sep 1994 and shows fleet number RM2208 (CUV208C) in Shillibeer livery. 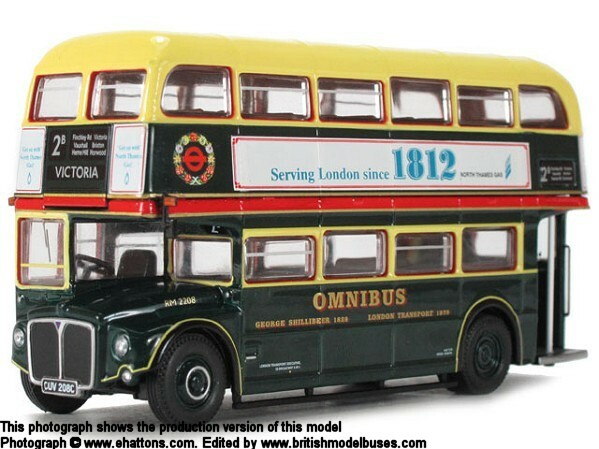 This is the actual vehicle represented by Corgi OOC models OM46305A and OM46305B. 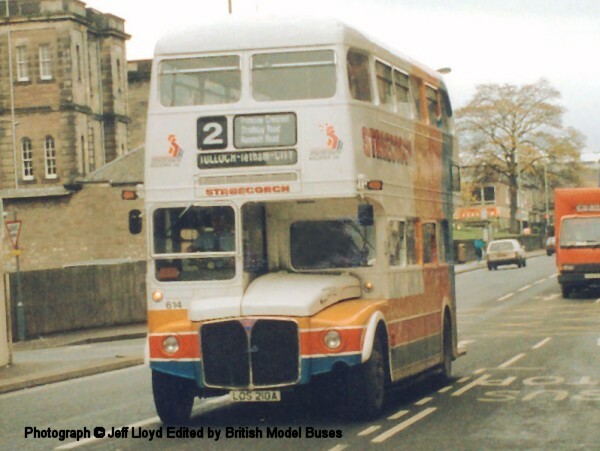 This photograph was taken in Hounslow during March 1990 and shows RM23 (VLT23). 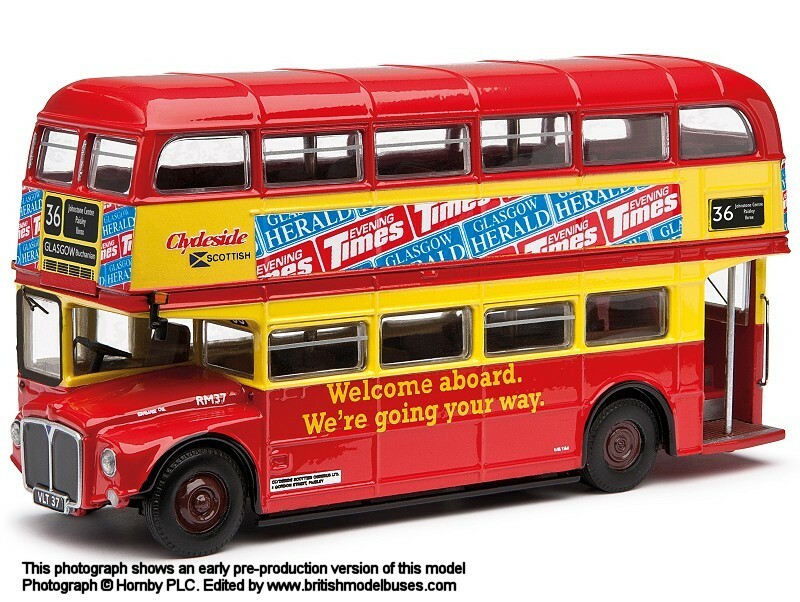 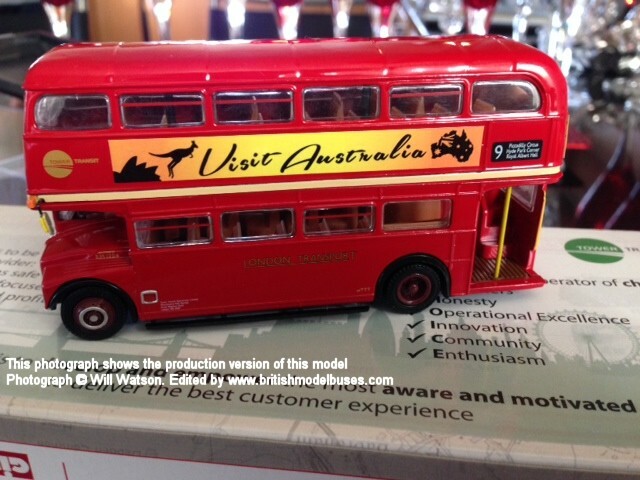 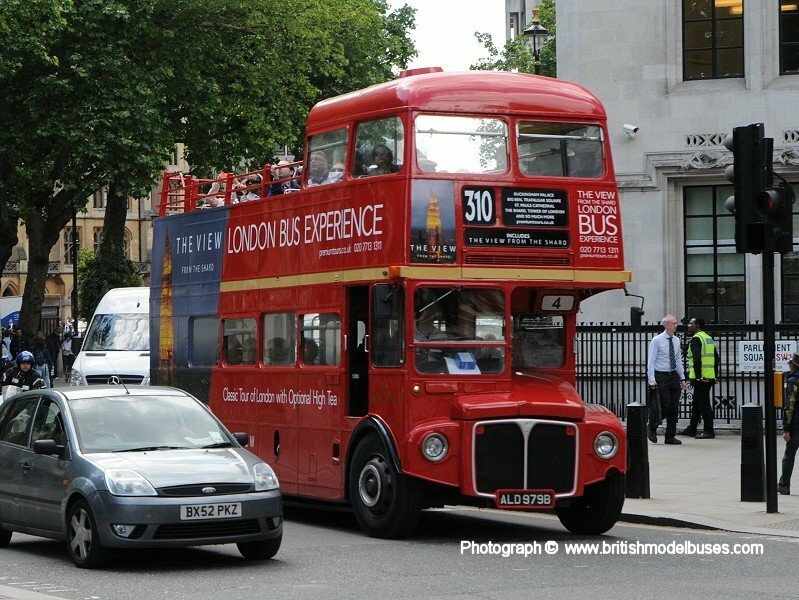 This is the actual vehicle represented in London Transport livery by Corgi OOC model OM46302. 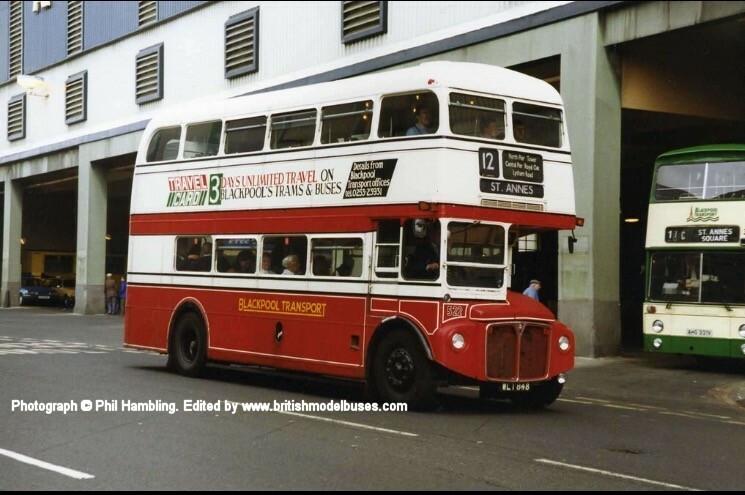 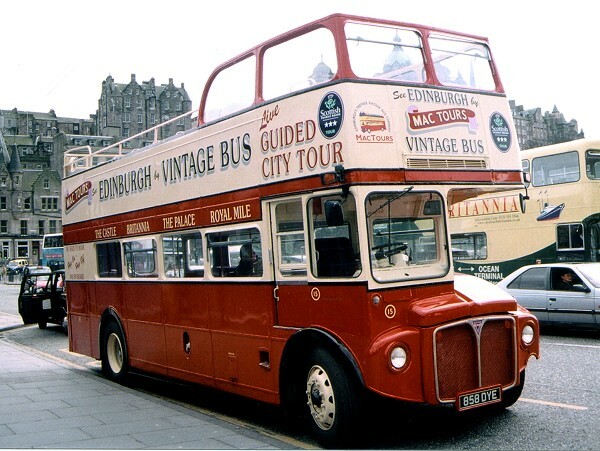 This photograph was taken on Waverley Bridge, Edinburgh and shows fleet number 15 (858 DYE) ex RM727 (WLT727) although she carries the registration number of scrapped RM1858. 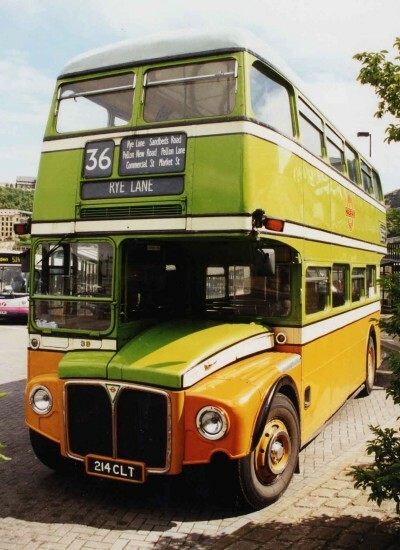 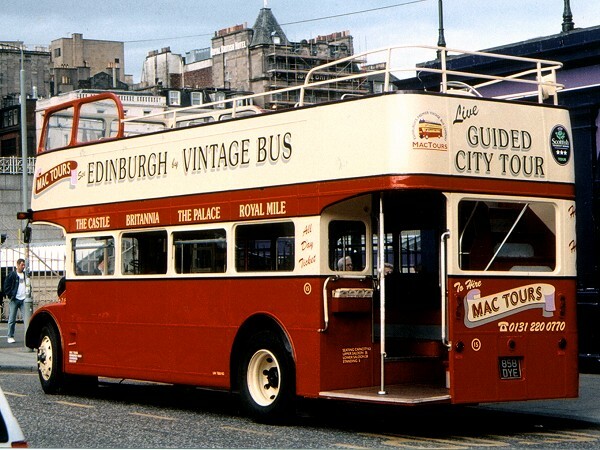 Mac Tours became part of the Lothian Buses organisation in 2002 at which time its fleet of diverse vintage buses were replaced with a variety of RMs, RMAs and RMLs. 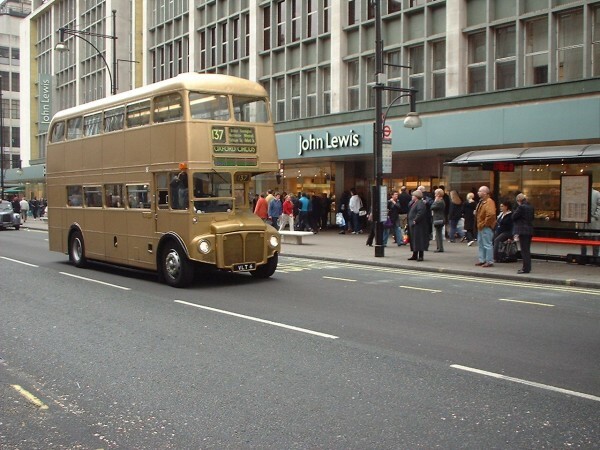 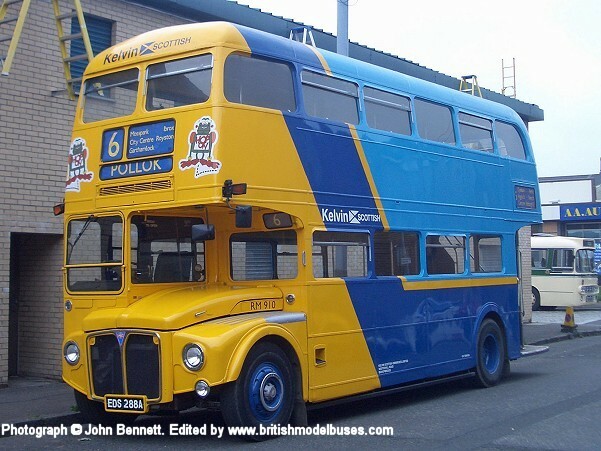 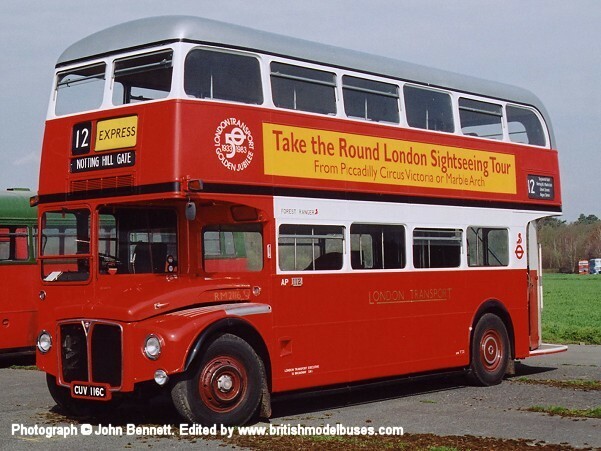 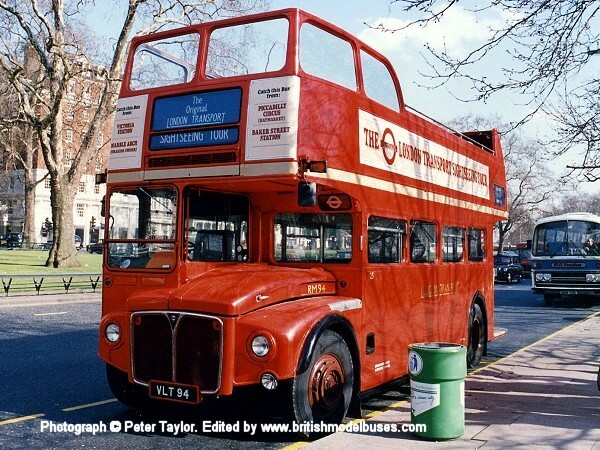 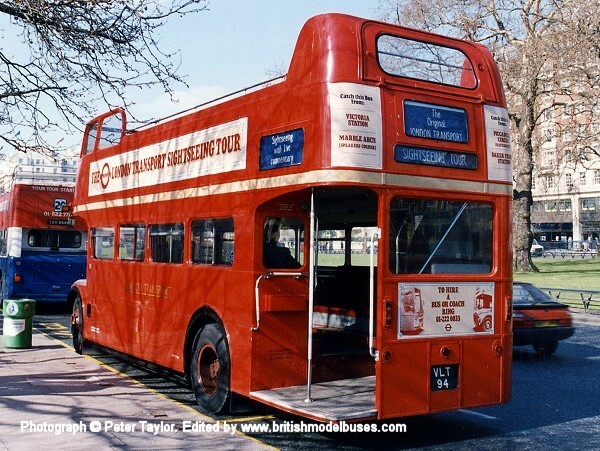 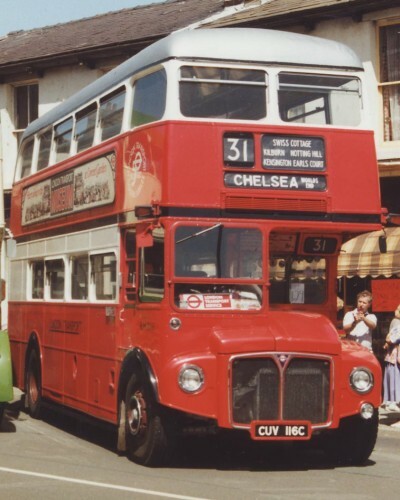 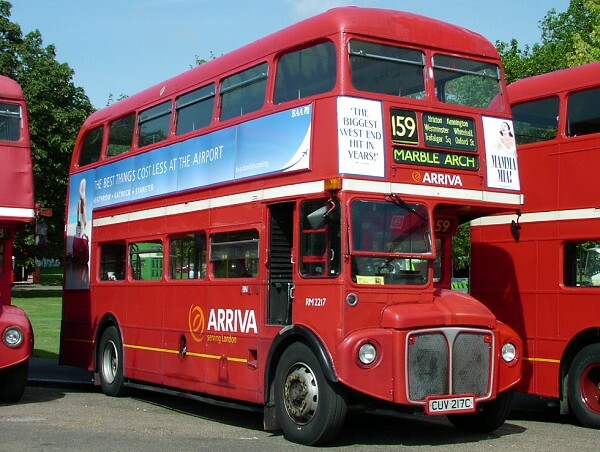 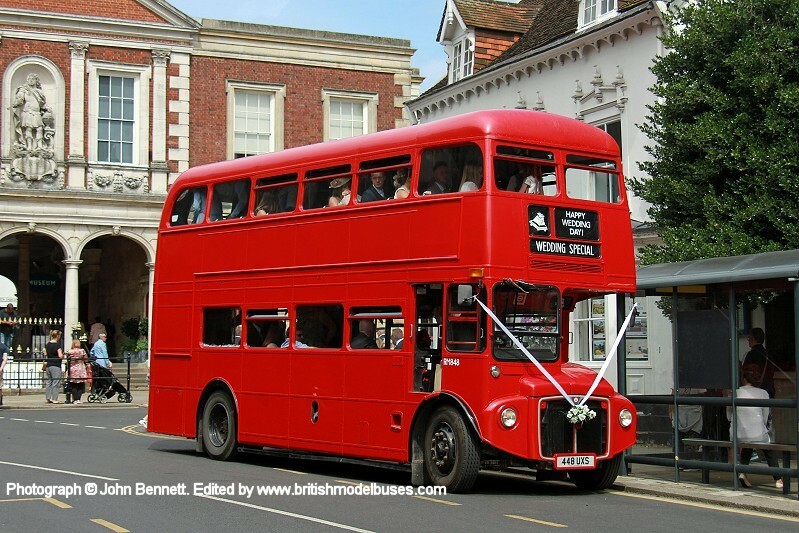 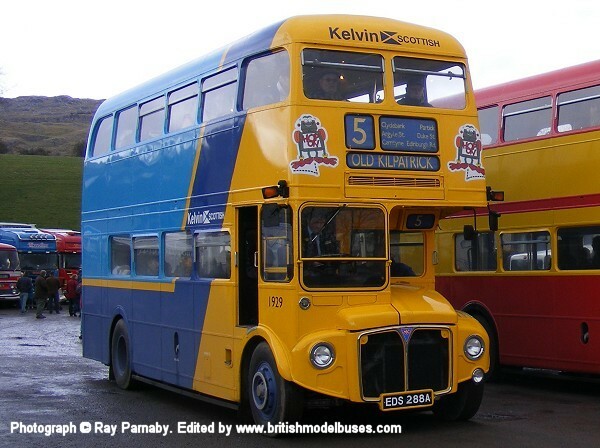 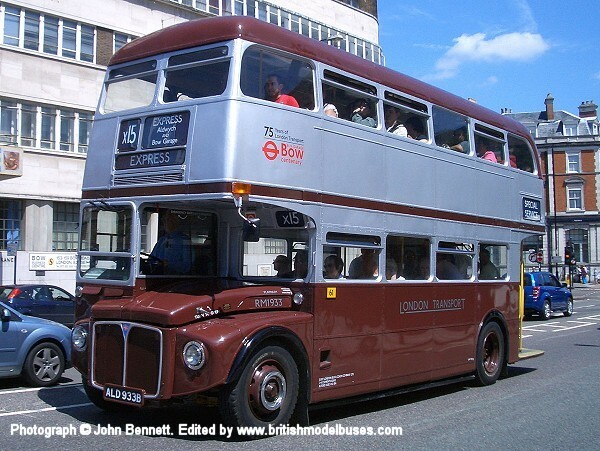 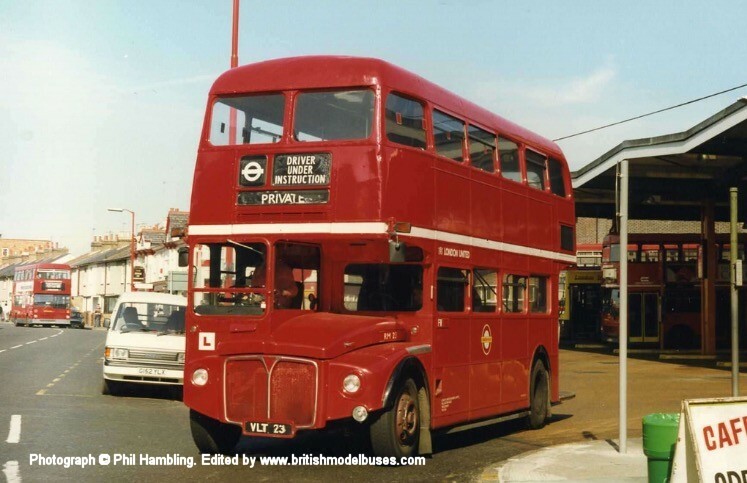 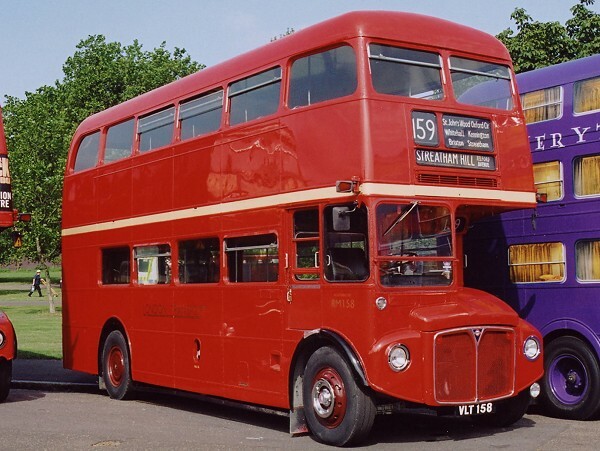 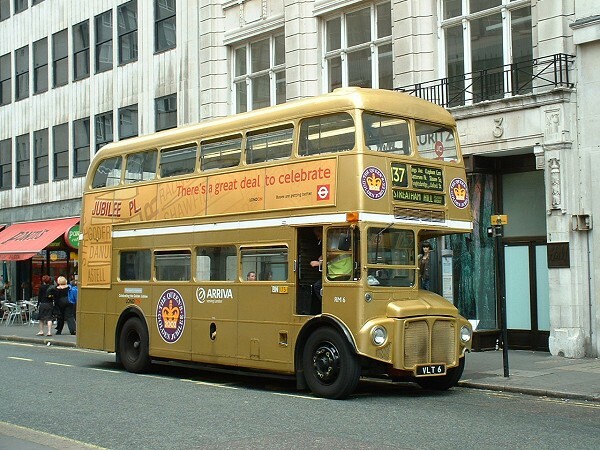 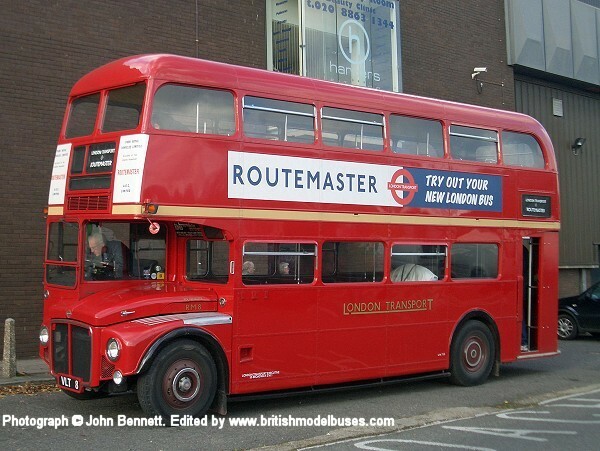 Fleet number 15 initially appeared in the standard Mac Tours livery of red and cream as shown in this photograph, she only carried this livery for a short period of time before being repainted in yellow, blue and red for the company’s Britannia Tour. 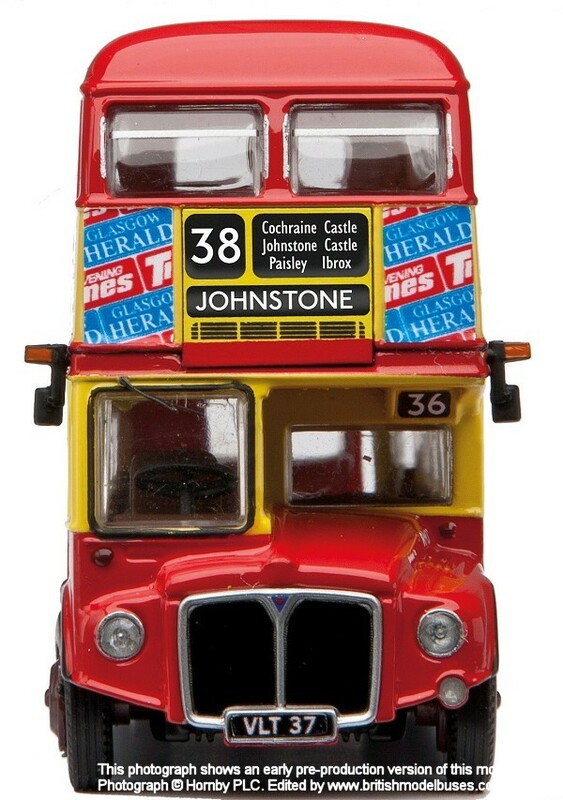 This is the actual vehicle represented by Corgi Classics toy model number CP82310 which can be obtained from Lothian Buses Travel Shops. 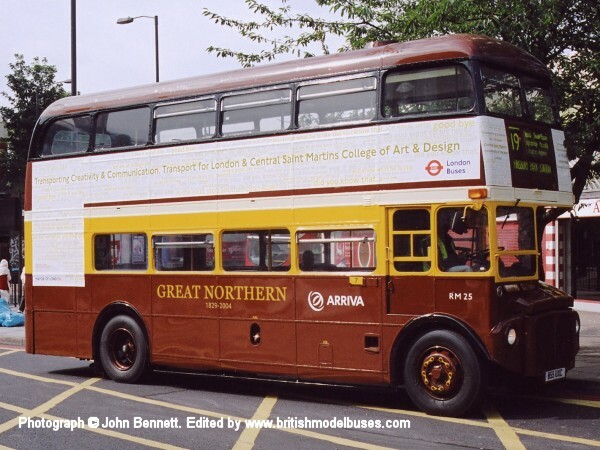 This photograph was taken in Aldgate on 18 July 2003 and shows nearest to camera RM980 (USK625). 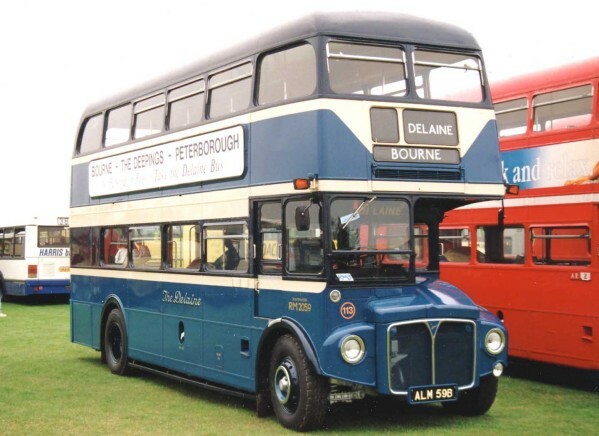 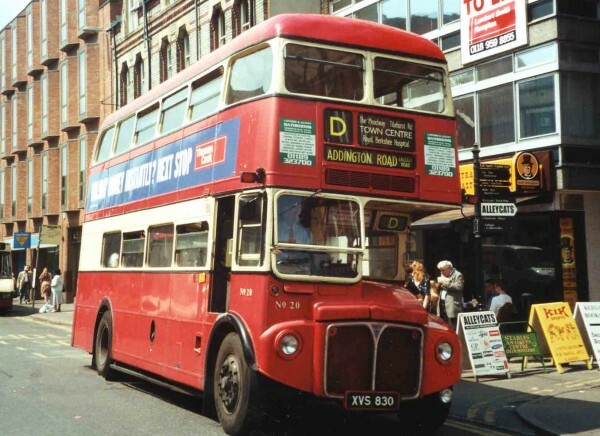 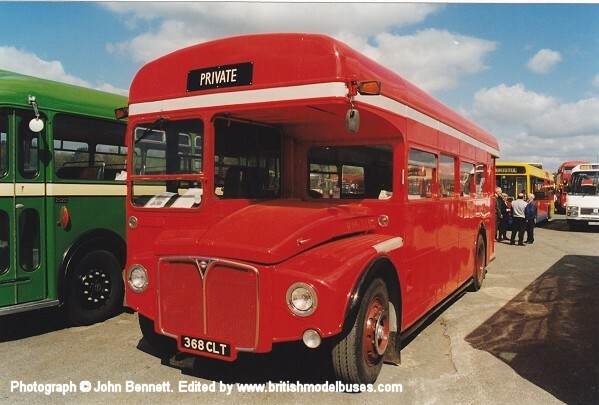 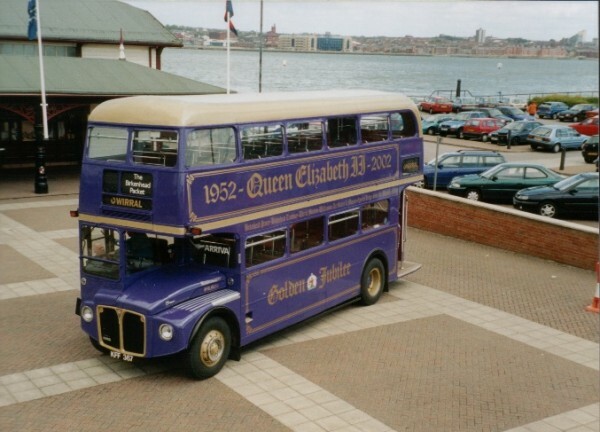 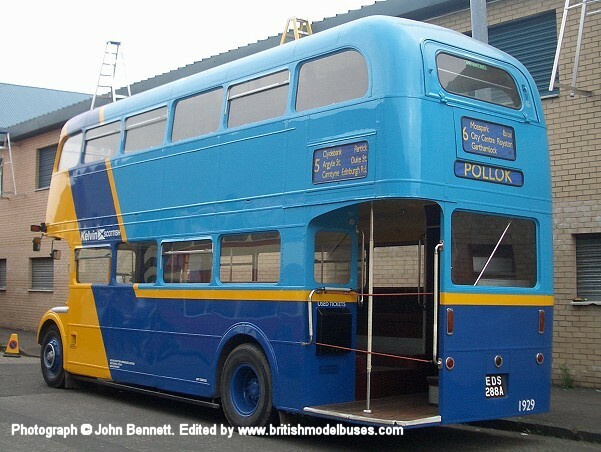 Earlier in its life this vehicle served with Mansfield and District as fleet number 980 (WLT980). 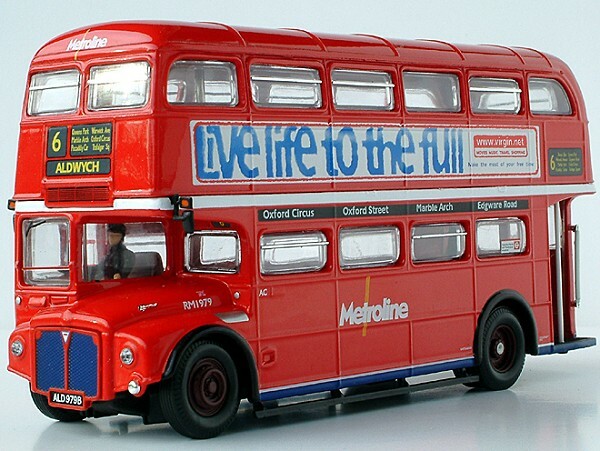 EFE represented this vehicle in Mansfield livery as model numbers 15609 and 15609DL.